Palestinians on Friday marked the 68th anniversary of the massacre of more than 200 Palestinian civilians carried out by Zionist gangs in the village of Tantura in 1948. 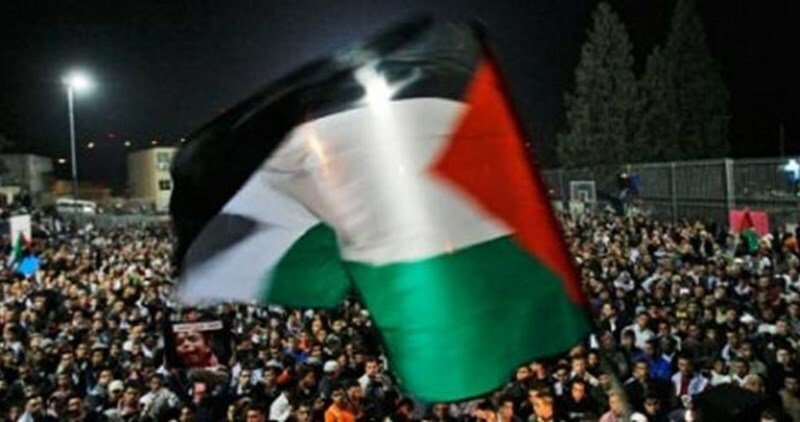 A march was organized in the evacuated village calling for the Palestinian people’s right of return to their hometowns. Tantura village, located on the Mediterranean coast south Haifa, had been subjected to a barbaric massacre that targeted men, women, children, and elderly in the small village on May 22 and 23, 1948. More than 200 unarmed civilians were killed at the hands of Israeli gangs. The massacre was carried out only a week after the establishment of Israel. An Israeli parking and a tourist resort now lay on the ruins of Tantura. An Israeli historian said on Wednesday that he had uncovered credible evidence that troops massacred 200 Palestinians in a single village on the day Israel came into being in 1948. Teddy Katz, who researched events in the village of Tantura for a masters degree, said he had spoken to witnesses including soldiers who were present to support his findings. "It started at night and was over in a few hours," Katz said of the attack on May 15, 1948. "From testimonies and information I got from Jewish and Arab witnesses and from soldiers who were there, at least 200 people from the village of Tantura were killed by Israeli troops... "From the numbers, this is definitely one of the biggest massacres," he told Reuters. Katz said 14 Israeli soldiers were killed in the ambush on the village. The man who led the assault was quoted as saying the villagers' deaths were a consequence of war and that reports of a massacre were "just stories." Katz said the attack was mentioned in only a handful of Palestinian history books and in the Israeli army archives. Tantura, near Haifa in northern Israel, had 1,500 residents at the time. It was later demolished to make way for a parking lot for a nearby beach and the Nahsholim kibbutz, or cooperative farm.Worse than Deir Yassin Katz said the killing spree in Tantura was more tragic and bigger than in the village of Deir Yassin just west of Jerusalem, where more than 100 Palestinian civilians were massacred on April 9, 1948, in an assault by Jewish armed groups. Reports just after the Deir Yassin killings spoke of some 240 deaths though Israeli and Palestinian historians now accept that the number of fatalities was probably no more than 120. Deir Yassin has long stood as the defining symbol of what Palestinians call Al Nakba (The Great Catastrophe). They use the term to refer to their dispossession and exile when up to 700,000 Palestinians fled from their towns and villages or were driven out by Jewish troops in the conflict between Arab and Jew that surrounded Israel's creation. Fawzi Tanji, now 73 and a refugee at a camp in the West Bank, is from Tantura and worked until May 1948 as a guard for the army in British Mandate Palestine. He told Reuters he had watched as Israeli troops took over the village, lined men up against a cemetery wall and shot them. Katz said 95 men were killed at the cemetery. "I was 21 years old then. They took a group of 10 men, lined them up against the cemetery wall and killed them. Then they brought another group, killed them, threw away the bodies and so on," Tanji said. "I was waiting for my turn to die in cold blood as I saw the men drop in front of me." Tanji said the killing stopped when a Jew from the nearby settlement of Zichron Yaacov arrived at the scene, took out a pistol and threatened to shoot himself unless the soldiers stopped the executions. Katz said other Palestinians were killed inside their homes and in other parts of the village. At one point, he said, soldiers shot at anything that moved. Villagers resisted with the few guns they had, but they were soon taken over. The Israeli newspaper Maariv, which reported Katz's findings on Wednesday, quoted the commander of the Tantura attack as saying his troops had no grounds to ask questions or spare lives. "It was war...When you see the enemy opposite you, he doesn't have a note saying he doesn't mean to shoot you. When you see him, you shoot him," retired colonel Bentz Pridan said. "That's how we went, from street to street, and that explains why a lot of people were killed," he told Maariv. “From testimonies and information I got from Jewish and Arab witnesses and from soldiers who were there, at least 200 people from the village of Tantura were killed by Israeli troops… “From the numbers, this is definitely one of the biggest massacres,” Teddy Katz an Israeli historian said Tantura, near Haifa in northern Palestine, had 1,500 residents at the time.